I couldn't believe this was happening to me. I'd become one of those people who start feeling down as their birthday approaches. This was happening to me, me who looked forward to 30, me who often utters the words, "I can't wait to turn 40!" because my friends over 40 are so fabulous and fierce. Yet as I saw 35 in the horizon I started to feel sad, even a little scared. Is this it? I asked myself. Is this all I will ever become? Are my best years behind me? But then my hard-won confidence and past accomplishments put an end to that pity party. I wrote myself instructions on How to Turn 35 and now I'm taking my own advice. As I turn 35 I will laugh, I will dance, and I will dream as I did as a girl. 2. Go to New Orleans with my writeous bae. 3. See Beyonce in concert -- again. 4. Make six figures in my business. 5. Pay off my credit card debt. 6. Buy a new car. 7. Write a book or at least start on one. 8. See my byline in Essence. 9. See my byline in Bust. 10. Write for Hello Giggles. 11. Write for For Harriet. 12. Win a blogging award. 13. 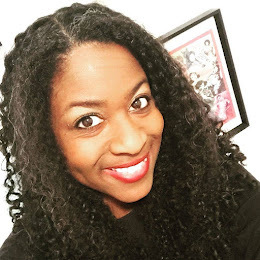 Attend Blogalicious -- again. 14. Run a half marathon and not feel like I'm going to die when I cross the finish line. 15. Learn to love my body. 17. Write for I Am the F-Bomb. 18. Organize a reading featuring the women of See Jane Write. 19. 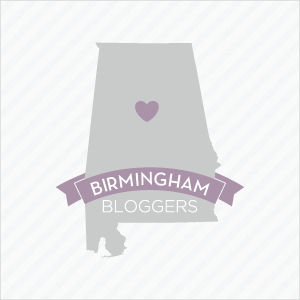 Be featured on StyleBlueprint Birmingham. 20. Be featured on Beautiful Bodies of Birmingham. 21. FINALLY finish decorating my office. 22. Read at least 12 books. 23. Share a story at Arc Stories. 24. Host an upscale Bloggers Who Brunch event. 25. Launch a membership site. 26. Host a brunch for my best girlfriends. 27. Find an ankara skirt that actually looks good on me. 28. Write for Good Grit magazine. 29. Create a girl's guide to Birmingham. 30. Start working with at least one of the bloggers I admire most. 31. Host a webinar with Megan LaRussa. 32. Figure out who I want to be in the world (wide web). 33. Build a website I love. 34. Learn to be my authentic self in my business. 35. Build a cohesive online presence. What goals do you want to accomplish before your next birthday? Continue sharing such thoughts later on too. This was really what I was searching for. I am normally similar to peruse a weblogs. I am truly value your site content consistently additionally with this ones.